The average age of farmers working with Growing Nations is between 50 & 57 years of age. Young farmers hardly exist and if they do they are hardly noticed because of inconspicuous performance. Growing Nations believes that can change & Growing . 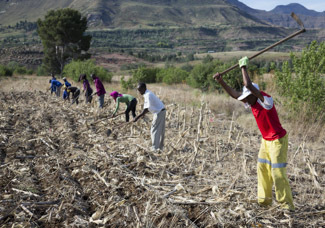 Lesotho is an agricultural based and resource rich land and the soils can be restored through Conservation Agriculture. 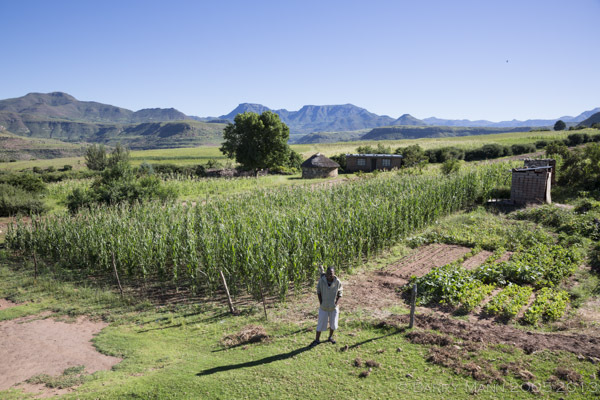 Growing Nations and the farmers are working together thinking about the sustainability of the Mohale’s Hoek region and the whole of Lesotho’s future. 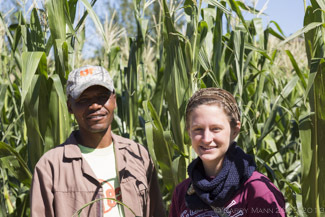 Each year Growing Nations invites young farmers to apply for a two year course. 10-12 successful applicants are chosen following interviews and the students spend the first year split between learning at Growing Nations and implimenting on small demo plots in their home communities. The second year is spent working and training others in their own communities, whilst being supported by the Resident Student Program team. The two main topics taught on the course are Farming God's Way and Transformational Development (TD). Further emphasis is also placed on equipping young people with management, leadership, agri-business and facilitation skills. We aim to increase agricultural skills and spiritual knowledge amongst the farmers whilst improving communication and facilitation skills with our goal being to increase agriculture production, under high standards at the students home plots. Our resident students are young farmers aged between 18 & 35 from the Mohale’s Hoek region who are keen to learn and develop their farming skills, individuals who see a future in farming, those who are not afraid of hard work and who want to see the landscape and people of Lesotho transformed through sustainable agriculture. After the year long training program participants are expected to learn for a further year in their own communities farming to a high standard and passing on to others what they have learnt. The aim of the program is that the participants will help transform their own communities. During the second year the participants continue to be mentored & receive guidance from the Growing Nations team. The program is led by Ntate Joshua, assisted by Ntate Pieso & Ntate Molibeli who both help to deliver the training and work alongside the students training them in the field. The curriculum has been developed over several years and is constantly evolving to ensure that students are taught best practices of Farming God's Way, transformational development, leadership skills & agri-business. 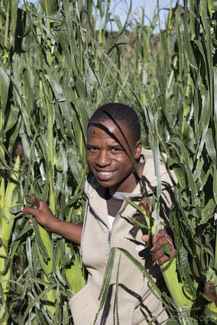 The teaching comes not only from the Resident Student Program team themselves but also from others who are successful CA farmers in Lesotho and includes field trips to see how different aspects of farming work in practice. Students are also given exposure to working cross culturally with opportunities for visiting groups & individuals to stay with the students in their own communities. Growing Nations works closely with the Mennonite Central Committe (MCC) and after completing their training at Growing Nations several students have gone on to experience the MCC International Volunteer Exchange Program, spending a year working in Canada/USA, before returning to Lesotho.